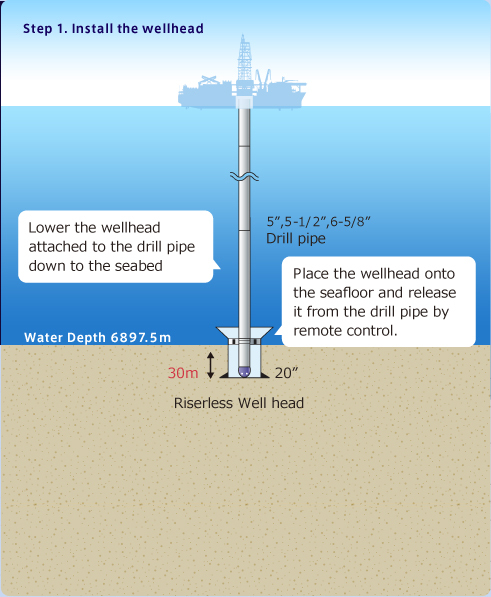 The project was to understand the very large fault slip that occurred near the axis of the Japan Trench during the 2011 Tohoku earthquake. 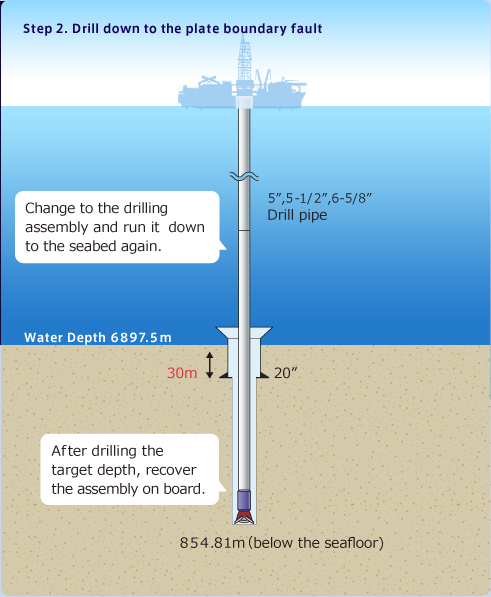 Scientific Drilling Vessel Chikyu was bound for deep sea to drill down the deep sea ocean floor to the plate boundary fault zone. The team took on challenges to understand the properties of the rocks and measure frictional heat at the fault. 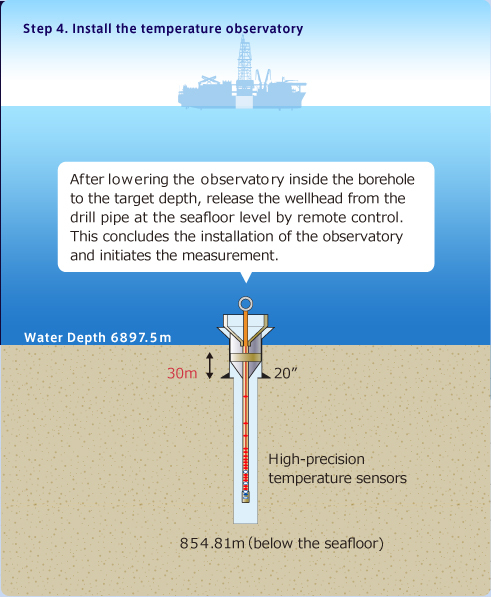 The expedition team succeeded in LWD (logging while drilling) to 850.5 m below the seabed, reaching the plate boundary zone that caused the 2011 off the Pacific coast of Tohoku Earthquake and the following tsunamis. 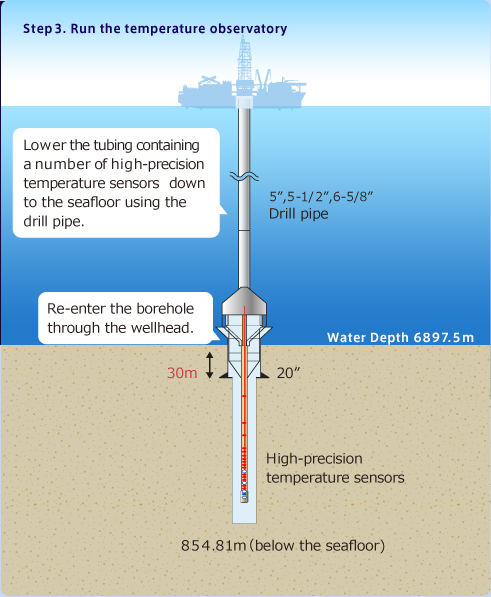 They successfully obtained geophysical data of the formations and recovered subseafloor geological cores at depths between 648 and 844.5 m.
In July 2012, the temperature observatory―array of borehole temperature sensors―was successfully installed accoss the plate bounday.